The past two decades have witnessed a remarkable transformation in green housing on Native American lands. A new generation of tribal leaders, architects and planners is creating sustainable buildings that restore traditions, and revitalize native communities. 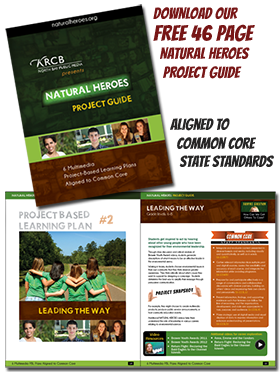 In 2013, the Sustainable Native Communities Collaborative released their case studies of seventeen outstanding tribal housing projects across the country. This film highlights the new building efforts by five of these tribes, and reveals the emergence of an exciting new paradigm in Native American tribal housing. Part 1: PENOBSCOT LEED HOMES. Penobscot Indian Nation, Indian Island, Maine – Through collaboration with local lenders and the U.S. government, tribal member home ownership is on the rise. The Penobscot Indian Nation Housing Authority (PINHA) built 12 Leadership in Energy and Environmental Design (LEED) Gold single family homes. The project has helped bring young, low-income families back to the community, reuniting them with a strong cultural and traditional heritage. Part 2: OWE’NEHBUPINGEH REHABILITATION PROJECT. Ohkay Owingeh, New Mexico – Owe’nehBupingeh, the traditional name for the OhkayOwingeh village center, is believed to have been occupied for at least 700 years. Owe’nehBupingeh is composed of four plazas, surrounded in the past by several hundred homes. Sixty of the homes remain, most of which had been abandoned by 2005 due to deterioration. Part 3: TEEKALET VILLAGE. Port Gamble S’Kallalem Nation, Port Gamble Bay, Washington – The Port Gamble S’Klallam Tribal (PGST) Housing Authority designed and built the Teekalet Village at a key location adjacent to historic salmon fishing grounds on the Puget Sound. Site features include a community building, a playground, and connections to walking/hiking trails. This housing was built to replace asbestos-contaminated houses on the same site. Part 4: GOOD EARTH LODGES. Apsaalooke (Crow) Tribe, Crow Indian Reservation, Montana – In 2009 the Crow Tribe initiated a partnership with the University of Colorado, Boulder to design and build twelve compressed earth block homes on tribal land. The project had three objectives: to determine if the raw materials needed for compressed earth blocks could be found on the Crow Indian Reservation, if the blocks could withstand Montana’s extreme climate, and if a tribal workforce could be put in place to carry out the program. Part 5: PLACE OF HIDDEN WATERS. Puyallup Tribe of Indians, Tacoma, Washington – Place of Hidden Waters includes two 10-unit townhouse clusters, a community building/gymnasium, and the restoration of a wildlife corridor. 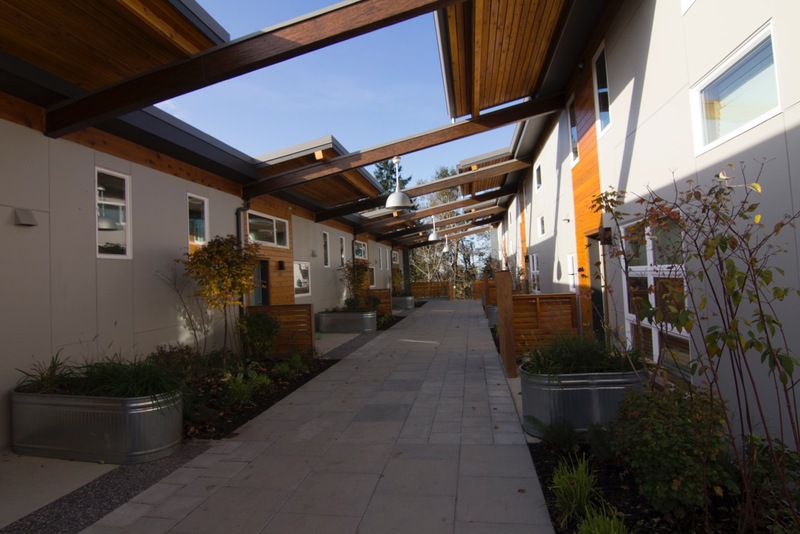 Place of Hidden Waters represents culturally and environmentally responsive new housing for the Puyallup Tribe in the Pacific Northwest, one that achieved Leadership in Energy and Environmental Design (LEED) for Homes Platinum certification. The project is located on traditional Puyallup tribal lands on a hill overlooking the Puget Sound tidal flats. Richard Neill, founder of Adventure Pictures and Peabody Award winner, has shot and directed award winning science, history and educational specials for National Geographic Television, History Channel, and Discovery Networks, as well as short films and educational media projects for Public Architecture, Lemelson Foundation, the Urban Land Institute, and the National Building Museum. Recent projects include museum films: “Designing for Disaster” (NBM), “Exclusion/Inclusion” (NY Historical Society), documentaries, “ A Vision in Time”, ”Venice to Vienna, Design in Motion”, “NaC@MAK”, and educational media: “Resilient SF”. He studied architecture and history as an undergraduate at Princeton University and received his MFA in photography and video from the University of Washington. In 2011 I was asked to document one of the first gatherings of the Sustainable Native Communities Collaborative in Albuquerque, New Mexico. Subsequently they asked me to film portraits of a number of tribal housing projects as part of their 2013 Case Studies. I felt that the short films deserved a broader viewing and worked with the Collaborative to help them find a broader audience, which included a film festival version as well as one for the NATURAL HEROES series.